Nicole Daniels – VConnections, Inc.
We Are Veterans, Not Pages of Statistics! 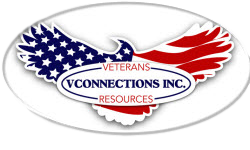 VConnections, Inc. is a registered, tax-exempt 501(c)(3) non-profit organization. © 2019 VConnections, Inc. All rights reserved.